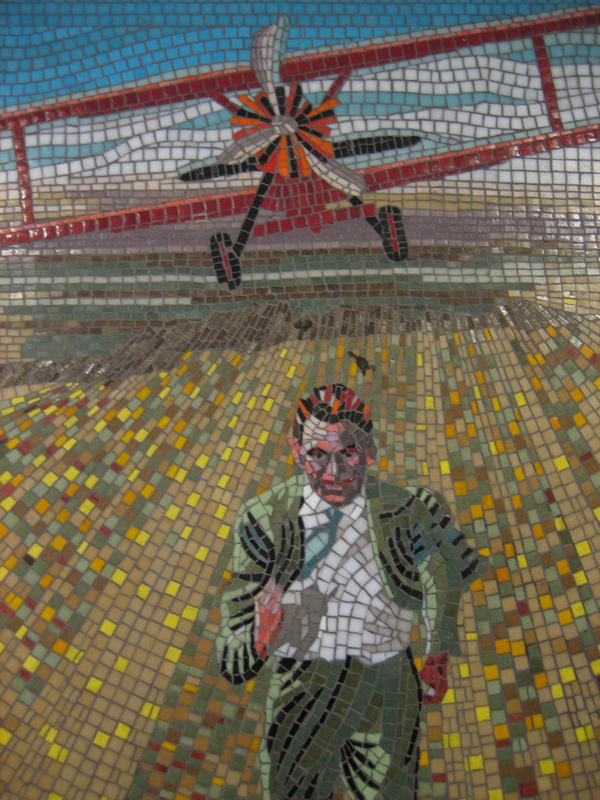 Waltham Forest borough council commissioned these mosaics to mark the centenary of Alfred Hitchcock’s birth. 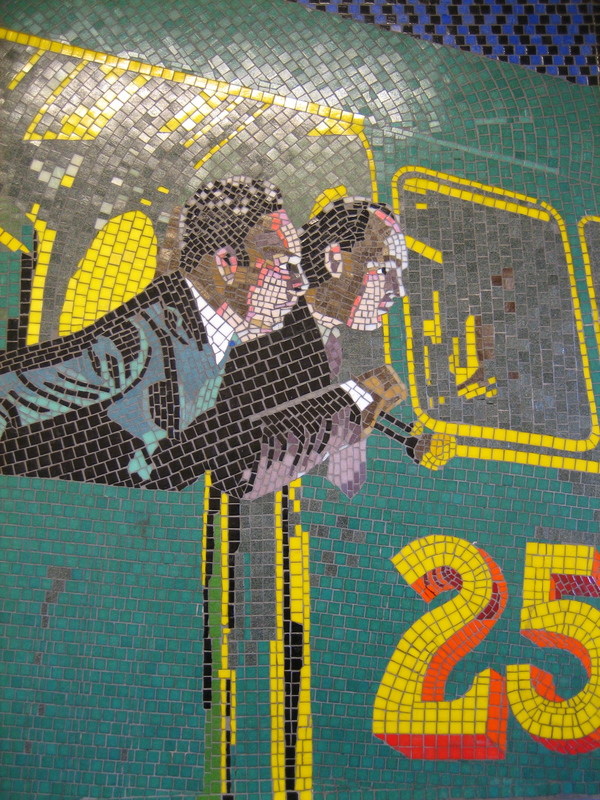 The director was born in Leytonstone in 1899; each design commemorates a memorable moment from his cinematic career. 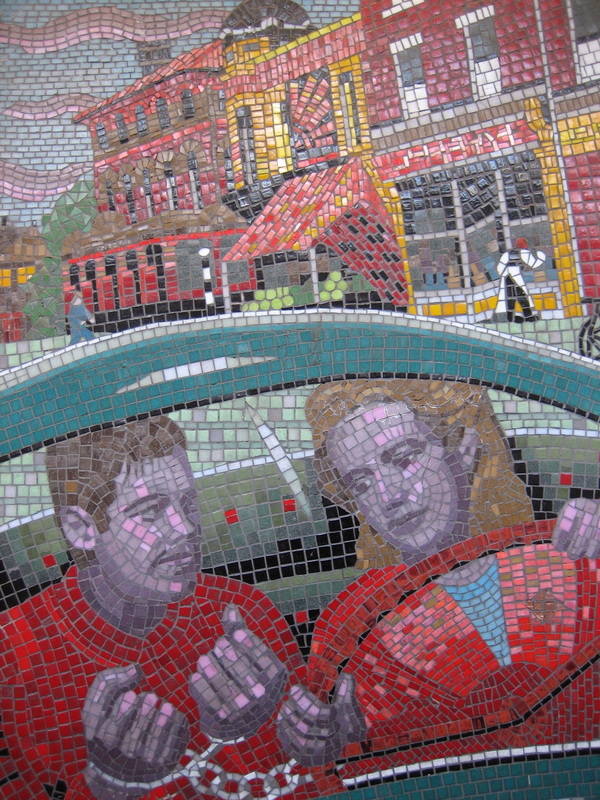 They were created by the Greenwich Mural Workshop and unveiled in 2001. Nobody was paying them any notice while I was there. 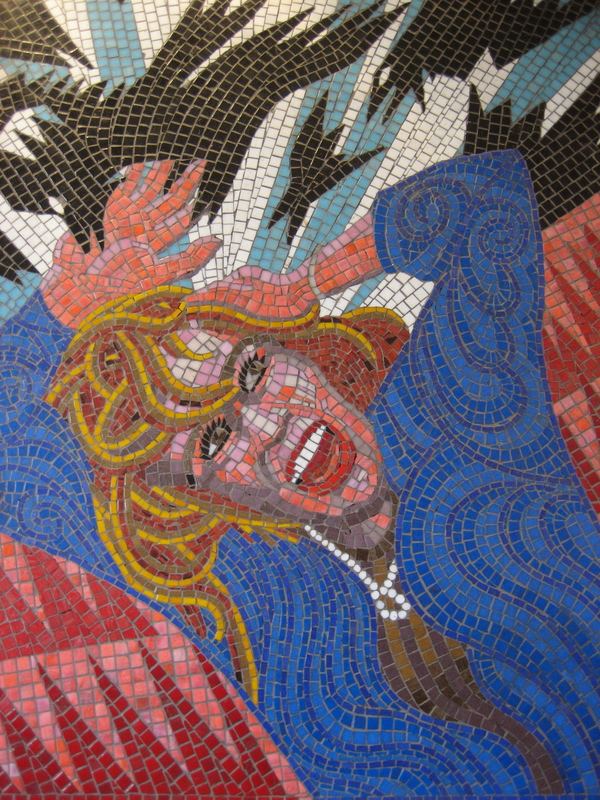 In fact, me taking photographs of the mosaics was attracting more attention than the mosaics themselves. It’s a shame when something so intriguing becomes so familiar as to be almost invisible. There are 17 in total, 14 showing scenes from films, three symbolising moments in Hitchcock’s career. 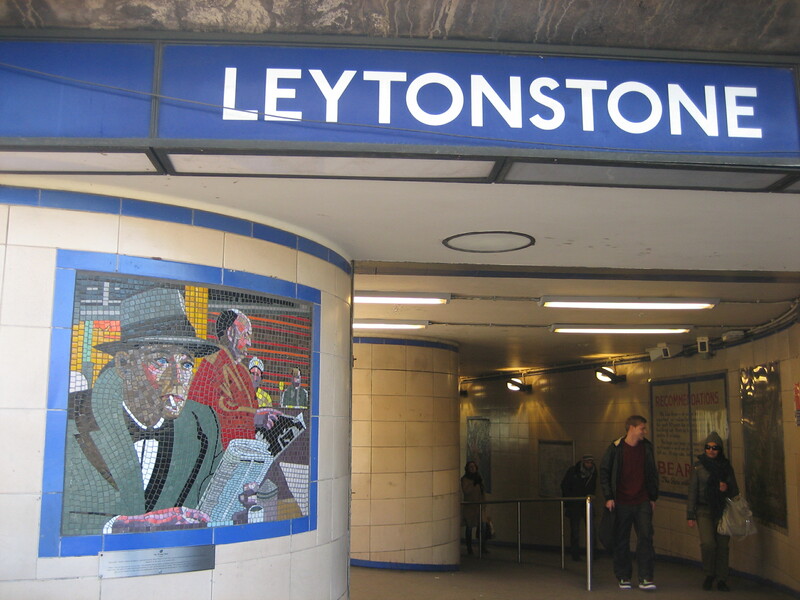 If you’re not rushing to or from a train at Leytonstone, all of the designs are worth close inspection. Or for that matter, any sort of inspection at all.